Officiële naam: Republiek Angola, onafhankelijk sinds 11 november 1975 (daarvoor: kolonie van Portugal) Oppervlakte: circa 1.246.700 km2. Aantal inwoners: ca. 12.000.000. 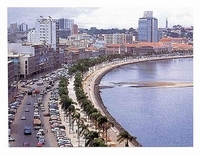 Angola is changing at a rapid pace. This new edition reflects the continued resurgence of tourism following years of conflict. While no city comes close to matching Luanda for sheer size, venture outside the capital and you will find everything from frontier diamond towns to relaxed beach resorts. The country offers over 1,000km of unspoilt beaches, excellent fishing and some of the best surfing waves in the world. Rain forests and bird spotting opportunities abound. Whether business traveller or pioneering adventurer, Angola provides all the practical and background information you'll need to tackle this vast country. It also acts as a guide for expats living in the country. Angola is no destination for beginners. It has no Starbucks or McDonalds, and there's only one functioning escalator in the whole country. Only ten years have passed since it emerged from three decades of armed struggle; the land is littered with 10million unexploded mines (which, interestingly, the elephants have learnt to detect and avoid) and there are few tourist facilities. But for the adventurous, this country offers over 1,000km of unspoilt beaches, excellent fishing and surfing, tropical forests and magnificent bird life. The first-ever English guidebook to the country, Bradt's Angola is essential reading for business travellers and pioneering adventurers alike. This is the first-ever English-language tourist guidebook to Angola, and the first tourist guide in any language written since before independence from Portugal in 1975. Since the end of its crippling 27-year civil war over a decade ago, Angola has changed almost beyond recognition. An oil-fuelled bonanza has brought about massive foreign investment and a fabulously wealthy new elite, making its capital, Luanda, the second most expensive city in the world. Today, fortunes are being made and lost overnight, and rich Angolans are eagerly buying up the assets of its former coloniser, Portugal. Fascinated by this complex nation perched at the forefront of a resurgent Africa, writer Daniel Metcalfe travelled to Angola to explore the country for himself. Ebullient and proud, and often unwilling to dwell on its past, Angola has a large army, a hunger for wealth and a need to prove itself on the continent. But as Metcalfe also discovers, it has some of the most grinding poverty in Africa as few Angolans have reaped the rewards of the peace. Nonetheless, amid Angola's brash reality, Metcalfe finds there is a place for a traveller who isn't there to make a quick buck. Crossing the country as ordinary Angolans do, talking to tribal elders, oil workers, mine clearers and street children, he encounters a place of extremes, where cynicism and excess go hand-in-hand with great hospitality and ingenuity. Metcalfe also reveals a colourful history of pirates and slave traders, capuchin monks, syncretic Christian cults and elaborate spirit masks. This is an Angola that symbolises nothing less than a broader turning point between the continents, the repositioning of the rich developed world versus Africa. It is a land that, until now, few outsiders have managed to unlock. 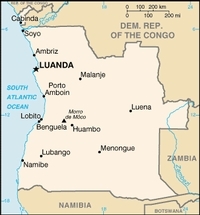 Angola has been brutalized by the civil war, which only ended in 1992. The war's adverse effect on every facet of Angola's post-independence life is clearly evident in the range of topics covered in this volume. 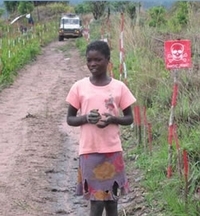 The human cost of the war can be counted in the enormous loss of life and large-scale population displacement and in the continued postwar deaths and serious injuries inflicted by mines. The war also severely stunted economic growth and the development of necessary social services. 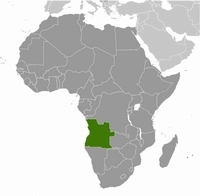 However, since the end of the war Angola is slowly progressing. Many people have returned to their homes to continue their life. The task of rebuilding has been greatly assisted by humanitarian aid. Readers will learn about the nearly 100 ethnolinguistic groups and their various ways of life. Oyebade shows how religion defines the cultural character of the country. Christianity, the dominant religion, is portrayed as more urban-based, popular among the educated elite and middle class. Indigenous religious practices, still popular particularly in the rural areas, are covered as well. Oyebade celebrates the prolific Portuguese-language literary output and the skilled Angolan artists. Discussion of the traditional foods, ceremonies, music and dance, and more rounds out the coverage. This is the fieldguide which includes all species found in Angola. The range maps however are not always accurate for Angola and this perhaps reflects the difficulties of birding in this country for the last 30 years. This new edition of Birds of Africa south of the Sahara contains some 400 updated images along with fully revised text, capturing the latest information available. 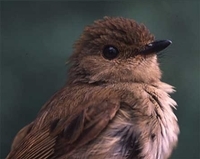 It provides unrivalled coverage of African birds in a single volume, and is the only book to describe and illustrate all the birds found in Africa south of the Sahara Desert (the Afrotropic Region), including Socotra, Pemba and islands in the Gulf of Guinea. Despite its exceptional coverage, this guide is compact enough to use in the field, and follows the standard field guide format, with texts and range maps appearing opposite the colour plates. With its extraordinary reach and coverage, this is a must-have volume for birding enthusiasts everywhere. An indexed, foldout, waterproof road map in full colour with sketch maps of major centre. Includes roads by classification, ferry route, ruins, camping sites, accommodation, fuel stations, mines, national parks, natural reserves, tourist information, points of interest and other information.